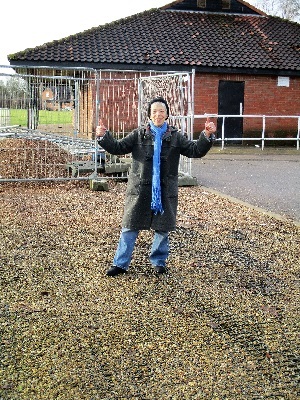 Vanessa in the car park at Walnut Tree pavilion. And her feet are dry! Cllrs Vanessa McPake and Jenni Ferrans have just confirmed that the work that was done to extend the car park at Walnut Tree Pavilion is at long last complete. The flooding is gone! The Council had to get the new company to dredge the channel near the grid road as well as putting in a drain after the contractor was taken over. 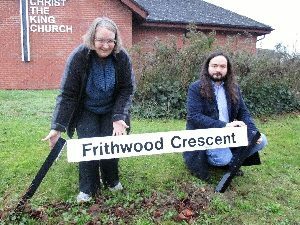 Jenni Ferrans has asked that this street name sign in Frithwood Crescent is repaired straight away as this is at a critical junction in Kents Hill. 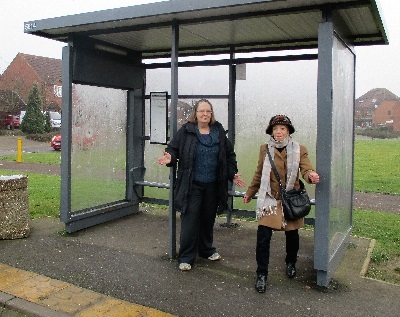 Jenni and Vanessa shivering at the bus shelter in Dunchurch Dale. Thanks to the resident who spotted that the bus shelter in Dunchurch Dale, Walnut Tree was broken. The glass panel that should be at the front to keep you warm was standing loose beside the shelter! 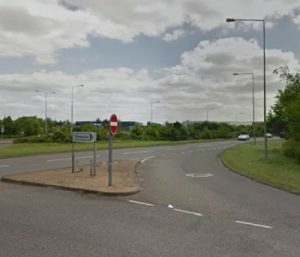 Your Lib Dem team reported it to MK Council and they have removed the panel for safety, and will repair it soon. 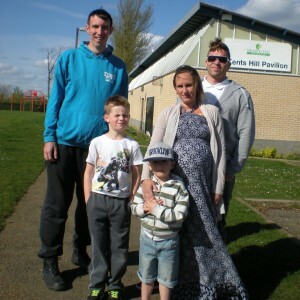 At a recent meeting of the Development Control Committee, MK Council agreed to apply formally for the footpath across the playing fields at Kents Hill to be made into a public right of way. If no objections are received, the change will then become law. If objections are received, then they send the proposed Order and the objections to an Inspector who decides whether to grant the right of way or not. Since the Council own the land, and MK Wanderers who lease the playing fields have no objection, it’s very unlikely that there will be any objections. – all will pay the price in Labour’s proposed budget cuts! Parking charges up to £2 an hour. More spaces, but much higher car parking charges. Some night time and Sunday bus services will disappear. Young people and pensioners face higher bus fares. Even fewer people eligible for Council housing as they want to change the rules. MK Citizens Advice Bureau faced with closure. Local charities, like those that help the blind and help the young homeless may vanish for ever. Children’s Centres, Youth Clubs, Community Centres – all are on Labour’s ‘hit list’. No more black bin bags, and higher charges for special collections. And what are they proposing spending money on? Spending millions on new furniture and new computers for their offices. More money on senior staff and “away days” for staff. The Liberal Democrats want to save our crucial services for the disadvantaged and disabled. Keep critical voluntary services that help all. And not hit car drivers or bus users. The H9 will be closed near Kingston roundabout until spring 2015 while a new underpass is constructed underneath it. The underpass will serve new housing beyond the roundabout. The road is still open from the V11 as far as the entrances to the houses in Wavendon Gate, and the businesses in Brinklow. The roadworks are causing queues on the V11. Please remember to leave room for people to cross the V11 into and out of estates. Thank you. Success! 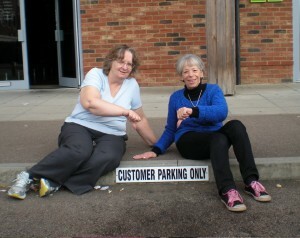 The parking at Monkston Park shops should be free for all, not just shoppers! That’s what lots of you told us when the shop-keepers put up signs recently. The illegal signs have now been removed, thanks to Lib Dem Jenni Ferrans.